I cannot deny that I'm a huge fan of Twitter. 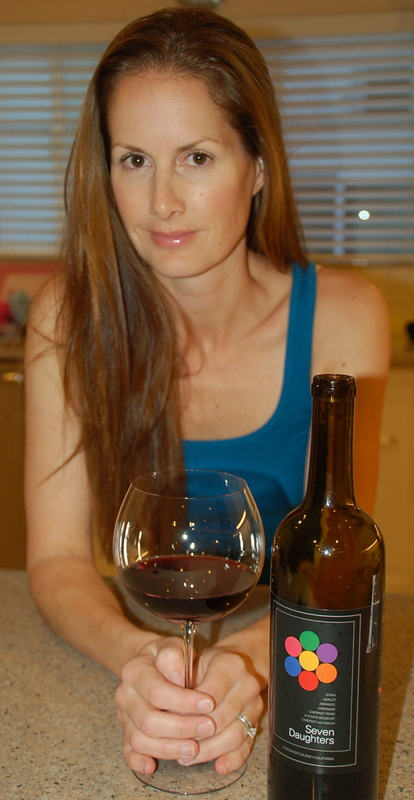 As a daily blogger who uses the social networking service to connect with fellow wine and spirit aficionados, and readers of This Girl Walks Into a Bar, I see the many benefits Twitter provides. But when I recently won a bottle of wine from www.WineTrouble.com via @WineTrouble, I knew I was onto something good with this Twitter thing. 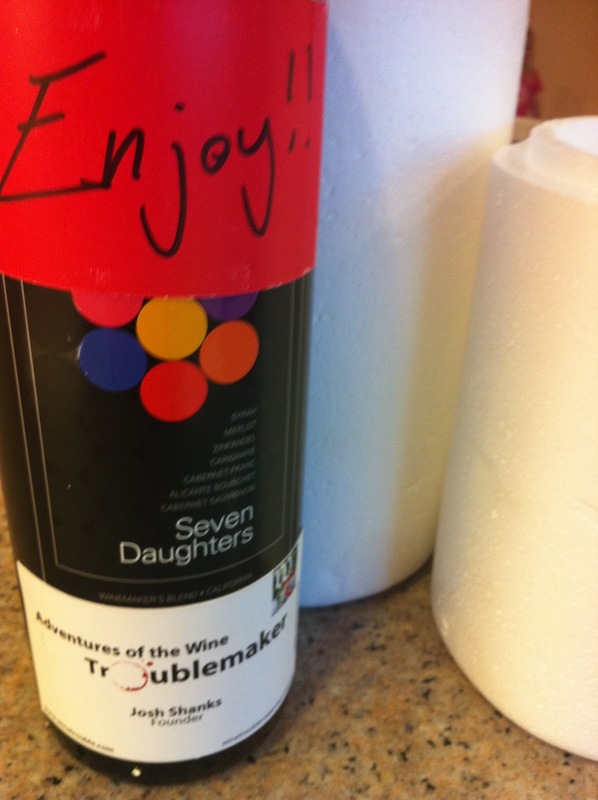 A few weeks ago I was the lucky winner of a bottle of Seven Daughters wine when I became the 200th follower of @WineTrouble. On Monday, to my delight, this blend of seven varietals arrived at my home. Giddy as a child on Christmas morning, I swooped up the box and ripped it open. My husband and I nursed our full glasses of red wine in front of our games...he, Lakers and me, Padres. The wine was mild and fruity, and perfectly (and coincidentally) paired with my seven spice lasagna. I sat curled up on the couch, basking in the glory of Twitter, and grateful for my new wine friends. Social networking at its best.